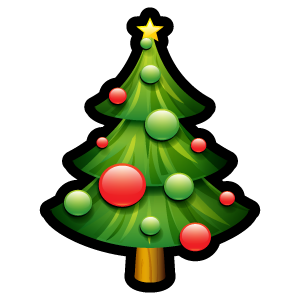 The next Christmas fair planning meeting will be Wednesday 18th December from 7.30pm in The Crown. Hope lot’s of you can make it! There will also be a wrapping evening on Monday 7th December at school in the dining hall, from 7.30pm. This is quite a big job so we really need lots of helpers, even if you can only stay an hour or come a bit later – it all helps! Hope lot’s of you can make it! Christmas Fair: Saturday 12th December! The date is set for Saturday 12th December! Friday 11th December – help us get set up for the fair. There’s lots to do straight after school finishes, we welcome as many volunteers as possible! Saturday 12th December 10am – 12pm, before the fair starts there’ll be lots of last minute jobs – come along and help us get the fair ready. Saturday 12th December 12pm – 2.30pm, volunteer to help on a stall. We really need lots of volunteers for this, so even if you can only spare an hour it all helps…and it can be lots of fun! Saturday 12th December from 2.30pm, help us clear up after the fair. The school needs to be ready for normal service on Monday morning, and with the children’s performances beginning that week there’ll be lots to do! And of course…come to the fair! Bring your children, friends, family, neighbours and have some festive fun! If you’d like to be involved then please contact us through The Campers Facebook page, via email camppa.herts@gmail.com or catch us in the playground. Meg Bellingham (Mum to Ben Yr 4, Katie Yr 2 and Lila Reception) and Andi Yoxall (Mum to Thomas Yr 3 and William Reception). Just to say, please start bringing in your bric-a-brac donations as from tomorrow. There will be a box on your way in near to nursery and another outside the office. Please remember we can’t sell anything dirty or broken! Wow! What a fabulous team the staff, parents and children of Camp School are! So many pulled together to create a really special fair, with a fantastic, festive feel. The total profit is £2780.47 and everyone who played a part either before, during or after can feel that they have done something really positive for our fantastic school. Pats on the back all round I think! Don’t forget you can help Santa this Monday (19th) @7:30pm! Give him a hand with wrapping the gifts for his grotto. He needs all the help he can get! If you can’t make the evening, but are willing to take some presents home to wrap then that would be much appreciated too. Put the date in your diary (1st December!) and start telling all your family and friends. Your child should have brought home a black and white fair poster with them today. Can you encourage them to colour it in and then display it somewhere to help spread the word? Volunteer to help on a stall. The more people we have helping, the more chance everyone has to enjoy the fair with their children. You can email us at campschoolpa@gmail.com or speak to your class rep. Donate a raffle prize or a bottle of wine for the wine game. Please give any donations to us in the playground or to your class rep. Approach your own contacts (hairdressers, beauticians etc.) who you think may be willing to donate a raffle prize. The PA is a registered charity and we will leave copies of a letter explaining this at the School Office that you may wish to show to your contacts. Have a clear out and donate any decent quality bric-a-brac. There will be a collection box outside reception and one outside the office. Remember we can’t sell anything dirty or broken. Donate small gifts in the correct colour for the Rainbow Tombola. (See below for your colour). Good ideas are items such as candles, bubble baths, chocolates and stationery items. Wilkinsons, Morrisons and the Pound Shop are all good places to look for cheap items. There will be a collection tray in each classroom and a prize for the class that collects the most! Come along to our wrapping evening on Monday, 19th November, 7.30 pm to give Santa a hand with wrapping the gifts for his grotto. He needs all the help he can get! If you can’t make the evening, but are willing to take some presents home to wrap then that would be much appreciated too. Bake cakes or biscuits to sell on our ever-popular cake stall. You can drop cakes off in the school hall from 2pm on Friday 30th November, or bring them along from 10am on Saturday 1st December. Please remember NO NUTS and to list the ingredients used. Come and help us set up between 2pm and 5pm on Friday 30th November and from 10 am on Saturday 1st December. Any time you can spare would be fantastic!